DEI CryO2 Install Kits, Tanks and Accessories UNIVERSAL - White Smoke Motorsports LLC - "The Future of Performance"
The foundation to every CryO2 System. Must have this kit to utilize CryO2 components. 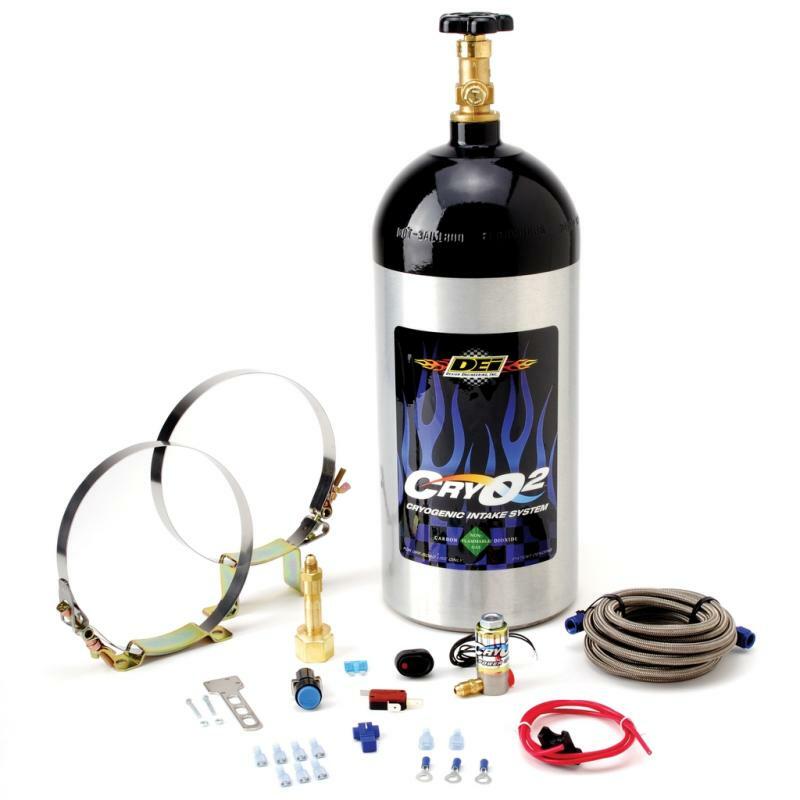 The kit includes a 5 or 10 pound Co2 tank, cryogenic solenoid valve, all necessary fittings, 14 ft. stainless steel hose, full wide open switch, arming switch, and wiring kit. Only one kit is needed to operate all the CryO2 components.